Thanksgiving provides tremendous opportunities for boosting sales for many business. Almost any business who has US based customers benefits from this holiday event. Some businesses, such as travel industry, gourmet food, gifts, and restaurant businesses, etc. directly benefit from Thanksgiving. And others benefit indirectly as this brings an opportunity to connect with existing clients and leads at a more intimate level. Making Thanksgiving part of your marketing plan should never be underestimated. The first thing you need to do is set up a budget for your campaign. Nothing is too less or too much when it comes to celebrating an event. 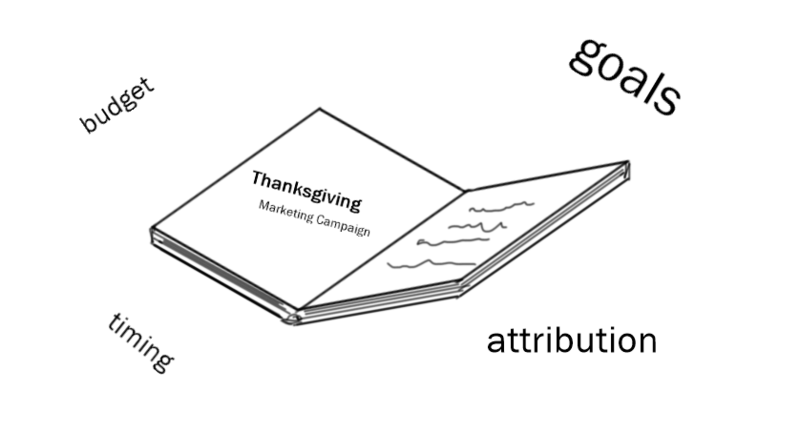 So be realistic about how much it makes sense for you to spend on your thanksgiving marketing campaign. Next is defining some goals; what is that you want from this effort? Is it engagement with existing customers and getting to know their future needs? Is it getting your hottest leads converted into customers via some promotion/incentive? Whatever it may be, you need to be clear about your budget and your goal. Thanksgiving period is busy for everyone. Many businesses are working with less staff as employees go on vacation to meet family and friends. Many businesses are busy planning their own thanks giving campaigns for their customers, which may impact you in terms of planning if you are in the B2B market. So be flexible about timing, especially if you are planning to set up a big event. A good idea is to get opinion months in advance from your most valuable customers or leads as to when they'd be available. Don't forget to measure the results! Last but not the least, it's very important to track your marketing expenses, and find a way to correctly attribute each marketing activity to the revenue generated through your campaign. Revenue generation may not be your primary goal, and in that case whatever that goal is, should be trackable. All these things are easier said than done. And that's why you need a strong and dependable marketing team by your side.